Well, after all the good intentions of keeping my iPhone 4S for one more iteration, I cracked on Friday. It didn’t help that the phone was really struggling to run iOS 8 (if you have a 4S, I don’t recommend upgrading to the new OS). On the way to work I stopped at a quiet, out of the way Softbank shop and had a look at the new iPhones. The iPhone 6 plus is basically too big for me to use one-handed, which kind of negates the point of having a mobile phone. I also had trouble holding it comfortably. This thing really is big. I love this phone. I’m impressed at how little it is costing me to buy it. 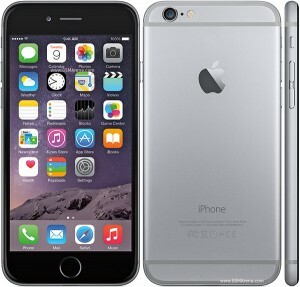 It is a huge improvement over the iPhone 4S in every way. Right now I am really happy I upgraded. I don’t know if it would be worth if for iPhone 5 or 5S users, but if you still have a 4 or 4S I would recommend checking the new models out. Another tangent, I’m afraid. If you don’t have an iPhone you can probably stop reading now. If you have an iPhone that is running iOS 5 or less, this may be of interest. 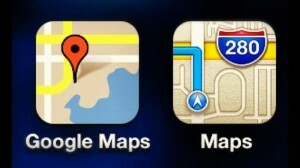 But if you have an iPhone running iOS 6 and you haven’t downloaded the Google Maps App yet, keep reading. I’ve been playing with the new Google Maps App on my iPhone 4S for a couple of weeks now. The short version is that it is amazing. I’ve used it a few times while driving, and the app is amazingly user-friendly. Clear voice directions, simple screen, very user-friendly (I particularly like the way you can scroll around the map then get back to your route with a simple ‘resume’ button). The local transport functionality is there too: this is probably the thing I use my phone for the most. When in an unfamiliar city, the app gives accurate local train and bus times and connections -so much so that I use it instead of the official websites to find times. No negatives I have found at this time. If you don’t have it get it now -it’s free.